Race day is in two days. The Madison Mini, a race that didn’t exist until I moved away from Madison. And now I finally get to run it. 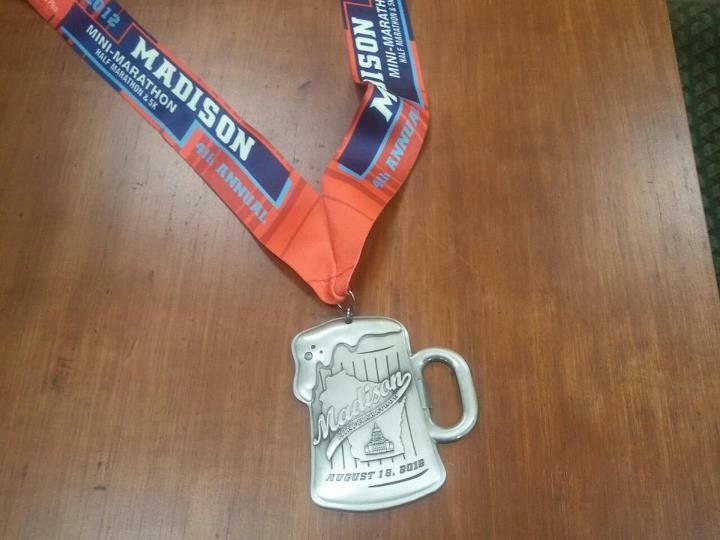 I have never run a half marathon in Madison. This seems to shock some people, but I wasn’t a distance runner when I lived there. For most of the summer I was thinking this would just be a fun long run through Madison, especially after I registered for Lakefront. But now we are two days away and we have the most perfect magical race weather forecast ever. Seriously, we are all giddy about it. Crazy over the top Goal: PR – I can’t even write what crazy number that is without causing myself anxiety. This is going to be a great weekend. I get to see lots of friends, meet twitter friends, and spend a weekend in one of my favorite cities. The goal that you can’t even write about without getting anxious, yup, I’m experiencing the same thing! I ran with a guy last night that I’ve never run with before, he asked me what my goal is, I told him that I didn’t even want to talk about it! I’m rooting for you & Sara, you two always have a great finish from my perspective! Can’t wait to see you either. If someone wanted to see my scary goal they could poke around my races tab.